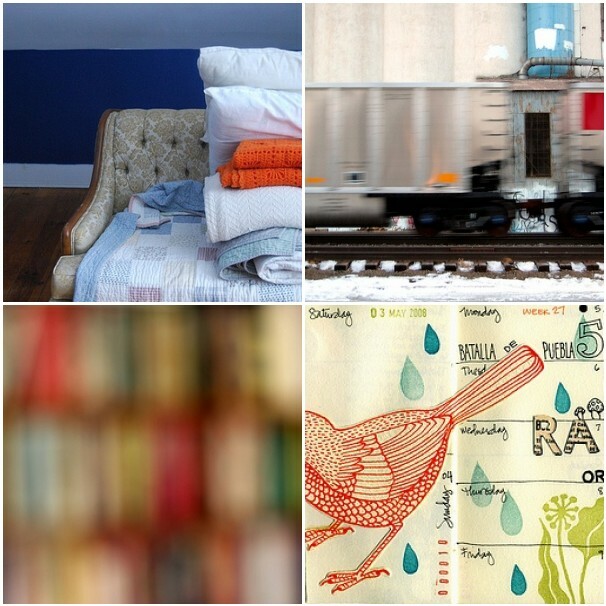 1. sofa + blankets + pillows by Shari, 2. flat by Martha, 3. Untitled by Sandra, 4. Journal Pages May 2008 by Geninne. * sipping a non-fat latte and noticing the strata of coffee and cream on the wall of the cup. * opening the windows to sunshine and 60 degree temps! Do you have any little joys you can share?